To be fair, if you ask anyone with a firm view to stop buying / selling in a market for say.... 5y, he/she would need to re-adjust his/her investment a bit. We cannot blame anyone for unwinding 10-20% of the portfolio in such case. 最近我在國內找相熟的銷售小姐, 問她有否我想買的單位推出, 她說您買這麼多間為何? (我已買了兩間, 準備買第三間), 我很直接了當地說, 我希望博日後的升值. 曾經另一國內相熟的銷售小姐都告訴我, 在我相距隔離兩個單位, 她說買家是來給媽媽住的, 事實? 現在我那邊已經入伙一年零7個月, 那個男人的媽媽? 從來沒出現過. 更且, 他的單位都不是用作長住, 已很久沒人回來過. 這種藉家人為借口來投資買多套房的, 我真的不問, 有何要拿家人作檔戰牌? 是買來做投資, 何需要不認. 我很老實的, 是買來目的想作長遠投資之用, 就是, 我認為無需隱瞞. 更況且, 那些買來擺明是投資的, 國內人是完全不會去裝修及佈置間屋, 由得它掉空. 那麼最後是買來自用或投資, 其實大家都知道的. 最近, 香港的不同地產都來電給我, 今午才一個, 問我會否考慮放盤. 我都看認為趁現時高價都打算賣掉. 若能天意要我高價賣掉香港樓, 拿著這筆錢早早回國內噗世界也未嘗不可. 請高人計計 - 香港的住房供應要多少才足够???? 他們有無份炒高樓價, 釣高租金....??? 小市民買樓自住小屋, 幾時都不够"富豪們" 出價??? 又一定無相熟經紀通消息.........莫非一定要一世供養 "富豪們"??? 厘次木生太偏頗 , 行会成員都係普通人 , 如有做足申报 , sell 楼套現有何問題?? 做人應該公平一點為好, 您都是用筆名去寫, 那木鐸用筆名, 有何不妥! 您要罵人前請都看看自己是否最好的一個. 當然作為這裡的作者是有點不該的, 我都認為要用真名及有相為佳, 否則人人都可以要求yahoo這裡開出一個專欄去刊登自己的文章. 這點我都認為有不好的地方. 更加, 大家都不知木鐸是誰人也, 好似隔離版的仲達, 更加離譜, 寫篇篇文章都五顏六色, 完全不尊重讀者. 當您這裡是幼稚園畫畫般? 不用真名, 那麼相信是誰只要對香港樓市稍有認識, 其實都可以要求開專欄去刊登的. 因為人人都可以是專家. 不過說回, 我認為木鐸無罵錯林奮強, 因為入得行會, 您持有這麼多物業, 在現時人人埋怨樓價高的時候, 最好不要找持貨太多的人去為小市民說話. 因為有衝突. 不見得真的為香港人好而提出一系列舒困的. 更加, 林某以前可以自行買賣樓無人會理會他, 但現在他的每一個動作都引領著700萬香港人的視線, 所以最好不要在這時間去賣樓. 要賣樓動機真的很難不令人懷疑後面將會有什麼動作推出從而影響每個有樓的香港人. 所以做得公眾人物就要懂得避嫌, 這點是林某的不對. 不過話說回來, 這裡的留言, 不似其他論壇般, 而先登記才能說話, 所以也可以無限不同名字留言. 這點, 最近看到很多負面友都亂捉網友來罵, 這點我認為香港人現時太過偏激了. 還有我都想說多一點, 最近新聞總是說"偏頗", 現在每個香港人就跟著一起說, 完全沒有自己的文法修養. 這點真可笑. 首先, 事情要分事實. 林某事實是有收政府的薪金, 只不過收了後捐了給另外的人, 這是另一回事, 若林某真的做到不收分毫, 那就應該在大原則下先不要每月從政府口袋中出糧. 最近這個網的人都很火, 動輒就吵架罵人, 或者只要別人的說話稍一不合自己, 就捉人大造文章, 完全缺乏理性的討論. 後記: 木鐸也不是篇篇文章都合我意, 因每人都有不同的意見, 不過今篇的文章, 當中說到其實林某的媽媽是退休校長, 我都在質疑以一個退休校長, 有退休金, 當然不知她前任的是官校或什麼類型, 不過以校長的薪金來說, 我相信真的不需要要到子女反養育她, 更且木鐸沒說錯, 賣掉五層樓, 數千萬, 以一個普通家庭來說, 真的吃到死都有餘, 為何林某要如此大動作來賣樓說給媽媽做生活費? 一個老人家有多大的開支? 要每月數十萬才足夠生活, 那豈不是在嘲笑您班窮鬼香港人, 每月得那丁點兒的洗費, 為何要為您們去想想您們有沒有能力買不買得起樓呢! 我還想說多一件事, 看這裡有一怪現象, 就是留言的人大多數都是利用上班時間, 當這裡是遊樂場去留言, 一去到假日放假, 這群人就會突然消失. 有時我都不禁在想, 老闆請著這樣的伙起, 您話死不死? 上班時間就在網上罵人當消磨時間, 放假卻不上網, 反而去了FAMILY DAY? 其實我有時在想, 這班人查實有多少人真正有工作在身, 或者真的有樓有物業有資產...因為我見很多人都是吹水多於分析樓市. 更加加莫談自己的買賣樓經驗與心得. 只要有人一分享自己的心得, 就會引來很多人的圍攻. 完全不理性. 真的不禁問我們香港人就是如此? 斷章取義,指鹿為馬--引用施永青文章 [光是「好打」不宜當司長 ], 原文本來是針砭林鄭月娥是否合適當局長, 木鐸卻偷換概念, 把人家文章定性為施永青為土豪張目!!! Yes, I read your article & kind of shared the same views with you. Hongkies are crazy shouting everyday without knowing what their standpoints are. Most of my friends at my age have a lack of understanding & sense of belonging to own country. And alot would spend time on Japanese food & culture......everything from Japan is good. National education should not be one-sided to teach about obeying one party but a full picture & show the young people right & responsibility to be a citizen, or national citizen. I was brought up here & unless it's too desperate, I don't wanna leave here & I hope one day Hong Kong people would wake up & realize there's alot more they could do rather than launching demonstrations! 我真的很希望您可以用中文寫, 若果您不識打中文, 網上有很多免費翻譯的軟件可供您英譯中使用. 或者您大可以百多元買個手寫版去寫中文. 您若上班時間來這網玩怕給老細知道, 一就是您不要利用上班時間來玩, 二就是利用我上提的方式來做. 否則大家都是中國人但竟然要外語來溝通, 您會不會覺得怪異? 您講到您不會離開香港, 但我想講要在香港生活, 現在回歸15年了, 大家都是用中文作為法定書寫的語言. 連政府也是中文書信往來. 上面70樓的朋友沒話錯您, 不要洋鬼子用英文好嗎? 更加現時很多自由行來香港, 我昨天才遇上一對年青的自由行男女用普通話, 問我如何去地鐵, 您認為是該用普通話來回應, 還是英語呢? 不要太過凸出自己, 這裡明明全部人都是用中文, 您卻奇奇怪怪用英文. 您想表示自己的英文比人更勝? 還是想什麼? 都是那句真心, 不識打中文可以去學. 現在連很多外國人都特意去大陸學習中文, 為何我們是中國人, 您卻連點點中文都不肯打呢? 誰是在分化, 相信明眼人一看就知. 有時間多閱讀以增加自己的理解能力, 否則連理解力都欠, 憑什麼來罵人! 這位人兄, 是不是? One More, it is MP Chen, according to the latest information from the local media. What are the nature instincts of a True Liar ?He Must Be a Very Good Actor. He can make a first lie, then produce a second lie to cover the first one, further regenerate a series of lies to the public at anyplace at anytime... Never, Never Give Up ! He must be a very good player of loopholes of law. He can think what people think before asking any queries about himself by news reporters. Probably saying, the local poverty may be due to behaviours of the so-called professionals ! Because the original intents of the speculators are profit, profit, profit ! Do Not Expect them who can give you a little help ? See how some investment bankers & property speculators to get the money from your pockets. It's just wishful thinking ! 現在很多人到中年的, 有學歷, 有年資的, 但薪金高者卻反糟老闆炒, 那麼我真的不見得延長退休年齡有什麼好處, 因為有適齡者都失業, 那麼講得不好聽, 您班老嘢要還出來跟一班在齡的人憑什麼去爭飯碗呀! 根源不去正視, 也要說什麼延長退休年齡? 除非現時香港真的經濟繁榮, 人人都有工做不愁失業, 更且有工無人做, 那才說叫退休後的人再重投職場, 否則連在齡的人都無工做, 何來有多餘的崗位給您班退休後的人去做呢! 連什麼理大的教授都塞屎, 真哀哉, 難怪教出一班年青人只懂為反而反. 完全沒有任何生產力. 您話這樣香港不死才怪. 您話地產網? 唔係掛! 我見這裡的作者什麼都講, 講奧運...談紅酒...只是最近的陳茂波老婆擋房就唔敢講? 我見全部的作者, 包括XXXX什麼都可以寫的, 連人家是否真的不孝都要論到他來大造文章? 說三道四, 您話只可講地產? 而其他不能講, 您倒不如話您係江青復活, 文革返回來呀! 只您有講, 其他人講就要批鬥好過啦! 您都XX...您唔鐘意睇, 您就行開, 過主. 唔好係到XX! Can Draghi do 'whatever it takes' to save euro? What evasive action will Mario Draghi take? (Left, with Spanish finance minister Luis De Guindos) More from Robert Another FSA probe at Barclays Lloyds shows cost of alienating customers Are British Gas's profits too big? Eurozone nations’ sovereignty v AAA As we wait to see whether Mario Draghi and the European Central Bank will tomorrow announce "whatever it takes" to save the euro (to use his resonant phrase of last week), it is worth reminding ourselves of the eurozone's unhealthy lifestyle (forgive my anthropomorphising please). Since 2009, its history has been of fiscal and banking crises that force eurozone leaders to make modest reforms, which provide calm for just a few weeks and months, till there is another crisis and more modest reforms. So if you were the eurozone's physician, here is why you would be concerned. The crises have become progressively more serious: the €500bn or so that Spain may need in a bailout is more than four times Greece's initial rescue needs in 2010. But there has been limited progress towards the kind of political union - or central control of budget-making, borrowing and supervision of banks - that many would see as necessary to the eurozone's long-term survival. So have the crises now reached such a magnitude that some time soon the eurozone's leaders will be jolted into taking the kind of serious evasive action which would see future shocks diminishing in their severity? Or are the forces of financial and economic contraction now so powerful that they are incapable of being solved by any of the tools likely to be at the disposal of the European Central Bank and government leaders in the foreseeable future? One strand of these negative financial trends has been elucidated by Morgan Stanley, in what it calls the balkanisation of the eurozone banking system. Its banking and money team have highlighted how the weaker eurozone economies - Spain, Italy, Portugal, Cyprus, Greece and Ireland - have been progressively starved of credit as banks in the bigger, stronger economies of Germany and France have stopped lending to them. Here are a couple of striking and disturbing statistics. According to data published by the German central bank, the Bundesbank, net lending by German banks to Spain, Italy, Portugal, Greece and Ireland rose from €67.4bn when the euro was launched in 1999 to a peak of €510bn in November 2008. In other words, banks behaved as though the eurozone was a seamless unified banking market. But since then, total net credit provided to these economies by German banks has more than halved, to €241bn in May - and there has been a net contraction of credit of more than €60bn in just the last six months. Or to put it another way, banks are increasingly seeing themselves as national institutions again, rather than euro institutions. As for France's banks, they have also been retreating back to their home market. According to Morgan Stanley, their net lending to the rest of the eurozone reached a peak of €742bn as late as April 2010, but has since plunged to €489bn. Morgan Stanley expects this repatriation of lending by French banks to continue - and warns this could be particularly deleterious for credit availability in fragile Italy. Or to put it another way, the unbreakable link between credit provision and economic activity means that recessionary conditions in Spain, Italy and the weaker eurozone economies will intensify, as French and German banks take their money back. Now there is only so much the European Central Bank and national central banks can do about this. It can flood domestic Spanish and Italian banks with liquidity or cheap loans. That stops them from falling over, at least until they run out of acceptable collateral (and see this previous post). But it can't compel those southern European banks, many of which are chronically lacking in confidence, to provide additional loans into the real economy to compensate for the sucking out of credit by banks from northern Europe. That said, there is an expectation that the European Central Bank will start to penalise banks for holding money on deposit with it, rather than using that cash to make loans, by charging negative interest rates for deposits. This could happen tomorrow or in coming months. However for Morgan Stanley, the risk aversion of German, French and other northern European banks is now so entrenched that it does not expect them to cease their withdrawal of credit from Spain, Italy and the other weaker economies, even in the circumstances where the ECB penalises them for sitting on cash. And for Italian and Spanish banks, in today's febrile climate there is a strong temptation to put any spare cash on deposit with central banks, even for a guaranteed loss on that money, because they don't want to double up on lending to households and businesses struggling to repay what they owe, and they don't want to be short of cash if capital flight intensifies. It would mean contractionary conditions in those weaker economies would be sustained and could intensify. That in turn would cause tax revenues for their governments to continue to shrink, such that reducing public-sector deficits would become a never-ending labour of cutting expenditure and raising taxes. In those circumstances, austerity programmes would become a prison with impossibly high walls, not a route back to rehabilitation and credibility in the eyes of commercial investors. In other words the solution is the same as it ever was, and may be as politically impossible as ever it was: the Germany government would need to provide official underwriting for the funds borrowed by the Italian, Spanish and other eurozone governments, what is known as mutualisation of borrowing, to reduce their borrowing costs and provide assurance of credit supply. If that potential solution remains some way off, how concerned should we be? Well the boss of a big global bank yesterday told me he is convinced that that the eurozone will continue to lurch from crisis to crisis but will muddle through - and that eventually the political reforms will be adequate. For him, the crises are the just-about-acceptable price of spurring eurozone leaders to do the right thing. Maybe he is right. But I feel obliged to point out that this banker - like pretty much all his peers - has for three years consistently under-estimated the magnitude of what has gone wrong in Europe's currency union. The rule-makers are the rule-breakers ? You are rich because they are poor ?? Hope you understand that we are only ordinary citizens. 昨天看到無線的星期二檔案提到男士侍產假, 我的重點不是討論這個假期, 而是當中提到有位朋友, 是我在BLOG中找到的, 當中的主角就是上面所提的在銀行做的蔡先生, 與及他做社工的太太, 他們住在荃灣海濱花園, 800多呎. 呢D就真係佢講哂, 叫你入市. 但自己就趁勢賣自己既物業...佢好明白個市好難再大升, 留住CASH最穩陣. 宜家攞D錢, 借錢俾人收息仲好賺! Sorry if you do not understand English that well. But like I told you before, you translation suxks & please don't try to contaminate the web-site here. You can write your own Chinese & I'm not able to use handwriting software in my computer......By the way, your translation in Chinese is wrong for Mr. Bin's surname......that's a disrespect for other people....Hope you know that! 節省少少啦你, 番屋企play your redneck的啦, 木鐸正式收"pay"啦, 明唔明呀!! 我真係頂您唔順! 好心您啦! 中國人用英文? 人家為您翻譯都只係用GOOGLE自動做, 不是專為您花時間去做的, 請您不要自大, 就此事不斷去吵架啦! 我好討厭您這種人, 明明是中國人連中文都交唔出功課, 憑什麼去閙人, 還敢擔講您有手寫版? 那為何連一隻中文字都唔識手寫出來. 來得這裡玩, 就是用中文, 我們不是鬼佬地方, 您閙人話人家的翻譯好水? 您係唔係等同閙埋GOOGLE一份? 我都好想問您, 那您的英文好叻嗎? 文法錯不在講, 您自己都唔識尊重這裡是用中文, 何來閙人家什麼叫做尊重呢! 阿太, 您有時間就去老人中心跟人學習打中文, 連長者都叻過您, 您憑什麼去閙人呢! 自己好好反醒啦! "在網上鬧人宣洩不滿", 如果是自己際遇不好而這樣做, 那些人何不鬧自己父母把自己生得這麼普通? 又沒有金山銀山供隨時調動? 自己沒用無能便要找他人宣洩簡直仲幼稚過小孩. 但如果是鬧香港磋跎歲月, 原地踏步, 鬧d高薪庸官貪官又的確幾令人高興. 您罵人翻譯您的英文是很爛, 我只是在GOOGLE的翻譯器中給您翻譯的, 完全沒加任何修飾, 但出來的效果就是如您所說的爛, 其實您有沒有認真想想為何一件死物的機器譯出來竟會如此爛? 原因很簡單, 那就是因為您本身所寫的英文都同樣是那麼爛, 所以才會譯出來都一樣爛. 我希望您叫人尊重人前, 先尊重一下您自己. 究竟為何要在中文論壇中貼上英文的回應? 不懂打中文紙就去學, 若果堅守不學就請不要來討論區說鬼話. 這才是不尊重人的表現! 更加不懂打中文回家叫孩子教您, 現在很多學校都會教的, 您不懂就要追上時代的進步, 不要以為做英文人就比人高上一等. 現在香港已回歸了15年, 中國人才是上等. 知不知道呢! 我想問湯文亮有何德可能, 每個作者都有權利去表達或說明自己想說的文章. 我覺得木鐸無錯, 講林奮強何罪之有, 湯文亮要去維護他同行大炒的行為, 是他的事, 不關木鐸的事, 更何況我想問這個網是湯文亮控制的嗎? 是他出糧給寫稿的木鐸嗎? 木鐸寫了湯文亮不喜歡看的文章, 難道就要湯文亮來封殺他嗎? 湯文亮已經封殺了很多網友的回應. 我想問湯文亮是誰? 是慈禧太后? 要得他同意才能說話? 他可以講的, 別人也同樣可以, 您說什麼等湯文亮下了火後, 才得木鐸回來寫文章? 我想問, 湯文亮有什麼把炮要這樣封殺其他的作者. 我想講, 這裡除了湯文亮這人最罷道. 湯文亮他是最小氣的人, 網友回應, 他要全部看過, 只要一隻字稍一令他不悅, 就要開大殺界之門? 您看其他的作者, 有否會在網友的回應中, 多加批評與指點, 然後就大出文章來指責網友們呢? 我覺得做人做事要得人尊重最首要的條件就是要大量, 有厚道. 以湯文亮這人來說, 表面掛著博士, 都不知這博士是否用錢買回來, 以他的品行可以說比起小學生都不合格, 小氣不在話下, 他憑什麼去封殺其他作者的說話. 若他認為他有這能力, 為何不索性去開一個自己湯文亮的專網, 供自己去說話, 而要來到這個根本人流量低的網站去唱好樓市? 自己說什麼就可以, 別人的就不能, 只能說去追捧他的說話? 他的網友其實來來去去都只得那數個, 數都數得出, 這堆人不是給他收買只管為他說好話, 去捧他? 他要得這樣的畫面, 我只能夠講他這樣憎恨大陸, 其實他的為人等同江青文革時一樣, 可能比起當時更可怕, 動輒就要捉拿網友稍一不同意見, 或者根本都無不同意見, 只是網友說說自己的故事者, 就立時去找來自己的所謂FANS攻擊對方, 這種人, 可以說比起新界的惡霸或黑社會還要恐怖, 不過他以為這樣可以擊到人, 其實他自己就是擊倒自己的人, 因為不要當網友是傻的, 大家的眼睛是雪亮的, 只要日久見人心. 大家就會看在眼裡. 其實湯文亮一開始已不斷製造假象人流說這網只有他一位作者是每日有萬多人流看. 那麼他想擊倒其他作者, 包括木鐸, 尤其那次他把網友擺上抬來大肆攻擊後, 很多讀者都紛紛轉投木鐸這邊留言. 我想問是否他見事隔一年後, 形勢有所大變, 知道自己這種惡霸的精神令人討厭, 所以就想藉林奮強這文來推倒木鐸, 以使他日後都不能再在此分享文章? 若果他想這樣, 我只能夠說作為在心中的讀者們都會相繼離開這個是非地的網, 因為要想得到地產知識者, 在現今透明度高的新聞媒體及網上平台, 根本無需只看這個惡霸湯文亮的, 從其他的渠道仍可以吸收到更多自己想知的資訊. 最後, 我只能夠說若果這個網站只為湯文亮一人做事, 去打壓凡逆湯文亮的作者或讀者, 那麼只能夠這個網站很快就會沒人再來看了. 我更想說, 木鐸這邊最近很奇怪多了很多不斷攪事的人, 不斷發很多攻擊人的回應貼. 我不知誰是幕後黑手, 但我相信湯文亮根本無需為木鐸用筆名寫文章一事中, 而去大做文章說到他自己用真名, 就要有所小心? 言下之意是否攻擊木鐸因用筆名就可以批評林奮強? 林奮強的舉動是有問題, 作為小市民的就可以拿出來大談. 否則如何能成為一個公眾人物, 公眾人物就預了要有心理準備給人指指點點. 但不能者, 那就叫他不要入行會說到什麼好似好偉大般去我們小市民發聲? 最後我想寄語, 湯文亮, 您已經迫到這網的讀者無得選擇, 因在您那邊留言, 您動輒只要稍一您不喜歡的, 就叫網站管理者刪除, 已經弄到人神只憤, 現在本以為可以在木鐸這邊分享, 現在您再出手去封殺了他? 木鐸自己都沒出來告訴讀者們他去了那兒, 是停產還是暫時...我想問何時輪到您湯文亮來給木鐸定奪說木鐸暫時離開這裡. 木鐸本人都沒親身交待過, 湯文亮您憑什麼消息渠道來說木鐸不再寫....這種叫皇道? 還是霸道? 還是厚道? 我最後只能夠說自從湯文亮加入這版作作者後, 弄到是非四潑, 現在還要迫走木鐸, 人家用筆名是網友給予他尊重空間的做法, 筆名是體諒他在這裡寫文章可能會影響到他的工作或家人等等. 若不能用筆名, 我相信日後想找有心之仕寫文章也難. 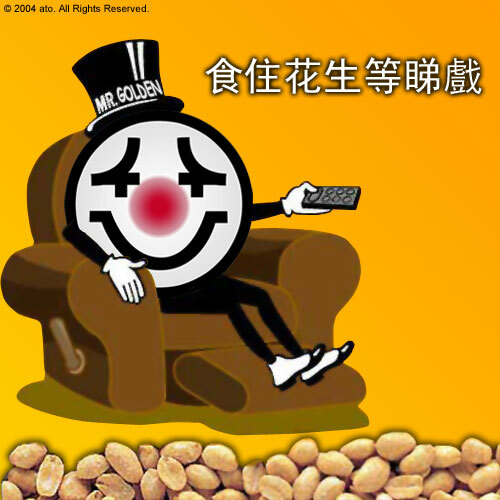 連人家用筆名您都要控制. 我現在記起, 湯文亮曾經罵網友說要用真名寫回應. OH! 原來問題在這裡, 難怪為何最近不斷有人在這網罵網友不能用不同名字? 原來有人在幕後策劃煽動, 難怪最近這裡是非四起. If you want to sleep well at night, don't ignore the safety of ordinary citizens when you make any money at anywhere at anytime, our grandparents said. Like Mrs Lam, can't do it. 欽敬欽敬. 三個月前已經小爆呢條 x 藤. 請繼續爆. 唔洗理條唔湯唔水唔知邊度來的XX阻住架. 撐! 2. Announcements of group of votes from HK Federation of Trade Unions & DAB which gave strong signals for change. CY apparently won the election, our country actually lost the reputation. It shows us how the rulemakers have become rulebreakers ! How to let our Education Minister to teach Chinese History and /or Chinese Literature in future ? Li White was Li BLACK ! How to educate the Next Generation ? How to do businesses with overseas people without Trust or using our RMB ? How to implement the policies in compliance with Laws ? Value Exchanges or Latent Benefits Transfer or Off-shore Exchanges = Laws Freeze or Stay Away With Laws or Where is Department of Justice ? = Corruption , Corruption, and Corruption = Continuous Interferences = 150-Year Foundations Eroded & Management Systems Failure = Back To One Party Talk = One Voice, One Voice Recording Machine & One Answering Machine = One Dream = You CANNOT expect the True Liar(s) to tell the truth anymore ! No matter what you said, the Liberty Party makes senses in line with the Public Opinion. 325 Election has finally become a real part of HK History. 《蘋果》資料室特登唔寫6月29日至10月4日之間發生又偏偏係最重要果part :P 又難得有腦殘ge蘋果迷相信! This city is really dying! 所以呢, 一定要罷買蘋果(但可以網上睇), 罷睇爽報! 陶傑已經係文棍, 近來如高慧然之流更加不知所謂, 經常鼓吹如: 81%港人不喜歡大陸人! 人云亦云, 有無問哂700萬人呀! 173F was not our message. Property speculation is something like to win some and to lose some.(i.e. could be zero sum game) The difficulty we have is how to define speculator and investor. Apply daily indirectly reflects that there are many speculations on properties in town. That's why our government officials have issued 15%BSD and updated the SSD for 3 years. Indeed, these taxes should be applied to those who has frequently speculated on properties, but not for Buyers.. This evening, C.Y. has not responded to the questions raised by some lawmakers in the Legco. It is because the main points are not the numbers & the sizes of the illegal strutures founded in his houses in the Peak. Illegal is illegal ! It directly reflects that C.Y. does not know and not respect what's law, ordinance, regulation, rule and good practice for buildings in HK. Also, he does not care what's professional conduct /general safety for worker/people in the confined spaces/slopes/buildings. As he said illegal structures are not a big problem, he does not want to know what's propriety, righteiousness, integrity & shame ! Right now, C.Y. cannnot convince our lawmakers/citizens by giving out a name list of qualified, experienced, independent and authorised professionals and parties involved for investigating his houses, and their relationships in between. So, an independent investigation /re-election is strongly recommended. If NOT, we have to accept a great thief to work with our officials in the Central Government Offices. His major duty is to encourage our kids to be superliars ! As stated in the Legco, it indicates that he does not get integrity problem, but also the problems of capability during managing his houses ! At the moment, the most ridiculous is that we need to use money from taxpayers to pay the wages for such a Cheating Executive Officer (CEO) ! One newcomer was found in town, it is Mr Tong from the ICAC...He apparently enjoyed chinese traditions such as dining & drinking for over 5000 years, according to the recent reports. Unfortunately, 690 CYs paid by taxpayers, are demonstrating to 7 million citizens how a thief /liar can order to check misconduct of a thief/liar in HKG...What's national education ? How to provide good education to the next generation ? Sir sir sir, please revert !!! A new member was found in town. Some business you can do, and some business you cannot do, our parents said. A qualified, experienced, and certified accountant with his family has engaged in "劏房" business, according to the press. It was not appropriate for profit taking against humble persons living in your subdivided units. In case of fire, who will take care of these households ! Also, it may be a wrong signal to the public:- HK government encourage citizens to stay with the subdivided units inside the flats. In other words, you can not only earn money in HK without considering the safety of others. They are all humble persons ! Where is CY ? Are you still CE for HKG ? Are you still looking at the false ceiling ? Are you telling to the world that the CCP/BJ007 prefer to choose the incompetent persons to work with officials for HKG ? Is it fair to the other civil servants ?? Again, please go back to the basic elements for CEO/CFO/COO/CTO: Work Harder, Work Smarter; Competence & Integrity. 1.N-UNCOUNT能力；才干Competence is the ability to do something well or effectively. We've always regarded him as a man of integrity and high professional competence. He has chosen loyalty over competence in his cabinet. 1.N-UNCOUNT正直；诚实If you have integrity, you are honest and firm in your moral principles. He was praised for his fairness and high integrity. 2.N-UNCOUNT完整；完全；完善The integrity of something such as a group of people or a text is its state of being a united whole. Separatist movements are a threat to the integrity of the nation. They undermine the integrity of our economy and democracy. Sincerity and personal integrity are crucial to their appeal. Now, some critics have real integrity about these lists. And he handled it with a high degree of integrity. Throughout my career, I have lived by the principles of personal honour and professional integrity. We are not any fighters for any media in HK. We are free ! We only care about the content & background of many incidents happened to our society, and keep asking who sends CY ! Hong Kong is an international city, just think what the investors/businessmen think ! We are not any fighters or special agents for any media in HK. Like many citizens, We only care about the content & background of many incidents happened to our society, and keep asking who sends CY ! The younger generation just want to have a fair play on an open platform ! I regret spending time reading this article, but fortunately most fellow readers have similar views as I do. To author: You are now on my "do not read" list.